Dr. Oz Talks Low-carb Diets. 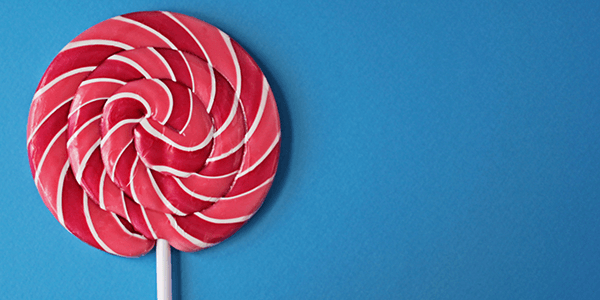 How Can You Get Control Over Your Sugar Consumption? 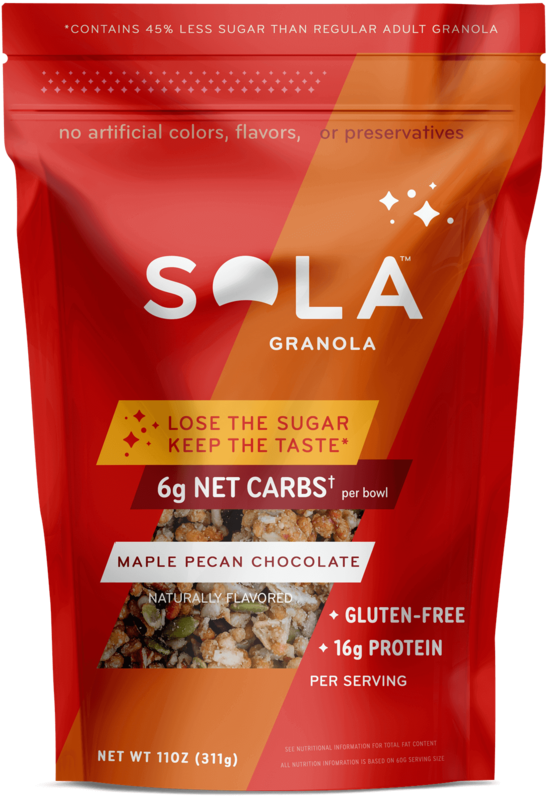 Here is a new option with SOLA products Switch to SOLA granola, yogurts, snack bars, bread, and more. Our products are made from sweeteners found in nature and do not cause glucose spikes or large spikes in insulin release. 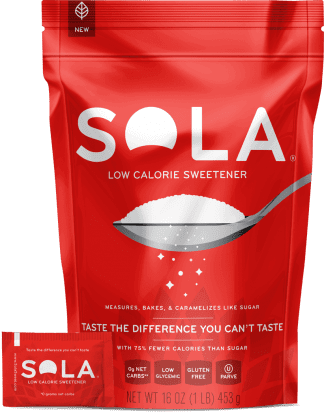 SOLA sweetener bakes, measures, and caramelizes just like sugar, and you can use SOLA in your own recipes and enjoy the sweet taste—without the sugar. 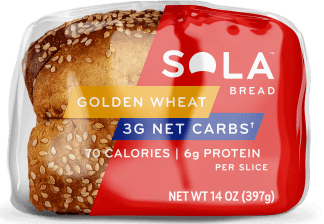 To help your patients stay on track, SOLA has launched a line of products that people typically eat every day. 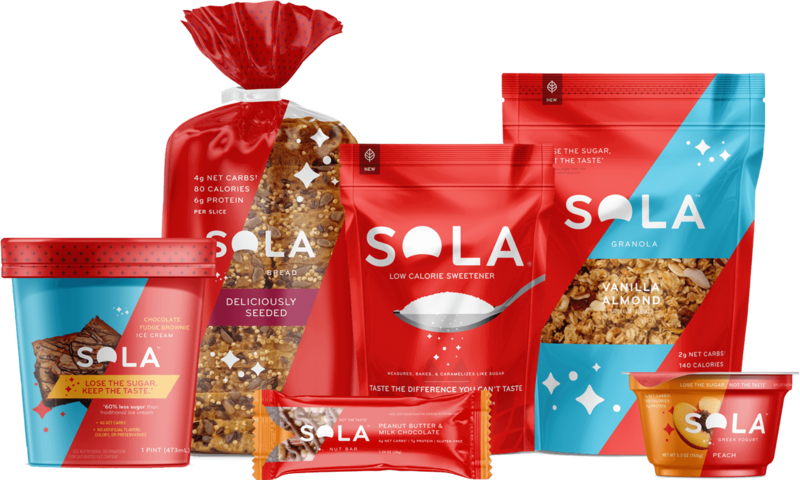 These products include yogurt, granola, bread, and snack bars. 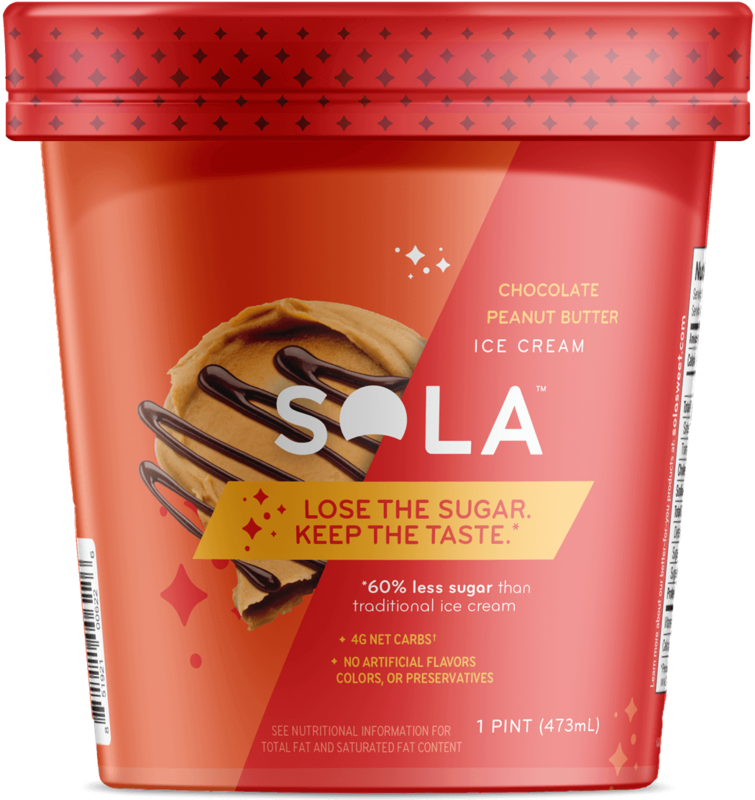 SOLA also has a delicious ice cream with no added sugar! University of California, San Francisco. How Much is Too Much? 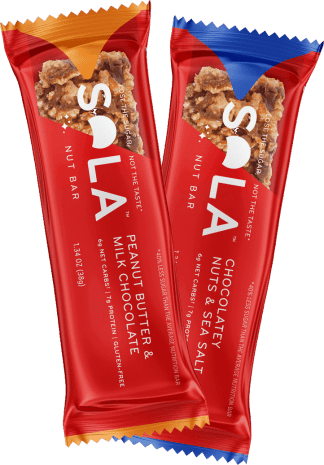 Available at: http://sugarscience.ucsf.edu. Accessed January 29, 2018. West H. 18 Foods and drinks that are surprisingly high in sugar. Healthline. July 18, 2016. Ervin RB, Kit BK, Carroll MD, Ogden C.L. U.S. Department of Health and Human Services, Centers for Disease Control and Prevention. (2012). NCHS Data Brief No. 87: Consumption of added sugar among U.S. children and adolescents, 2005–2008. Available at: http://www.cdc.gov/nchs/data/. Accessed January 29, 2018. By any other name its still sweetener. The American Heart Association. Updated April 21, 2017. Harvard Heart Letter. 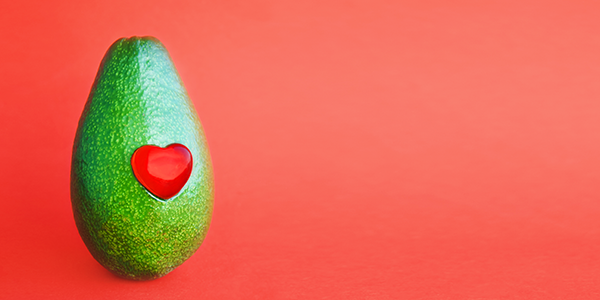 Abundance of fructose not good for the liver, heart. 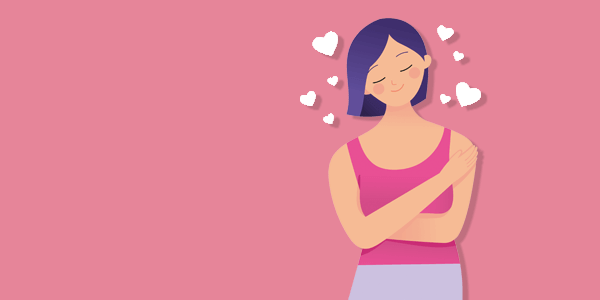 Available at: https://www.health.harvard.edu/heart-health/. Accessed February 9, 2018. 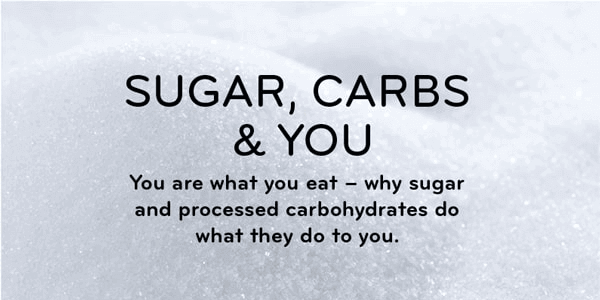 Why should you replace sugar? Sugar has permeated many food products and average consumers in the United States, and other countries are consuming up to 130 pounds annually. This over consumption has led to epidemic proportions of obesity, diabetes, and has led to many other disease states. 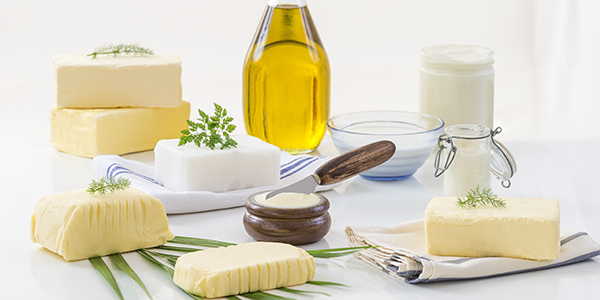 We’ve all heard how ‘processed foods’ are bad for us but what does that mean exactly? The ‘processing’ of foods can mean sugar has been added. From a manufacturing viewpoint, sugar has many benefits. Sugar adds flavor to foods, it is a natural preservative, it typically adds weight to a food therefore reducing the price per ounce making it more inexpensive. This makes sugar ideal from a manufacturing and profit viewpoint. Sugar is hiding in many foods we wouldn’t normally expect to see it in. This includes spaghetti sauce, ketchup, BBQ sauce and many other foods. Additionally, there are as many as 25 teaspoons of sugar in some of the most popular beverages from leading food service chains. All this added sugar has led to epidemic proportions of obesity and diabetes. As many as 70% of the U.S. population is considered pre-diabetic and currently this is an annual cost to the healthcare system of over $245 billion. Our goal is to help people enjoy the foods they love during some of life’s happiest moments without the harm that sugar causes. We are trying to stop and reverse the trends of obesity and diabetes in the United States through sugar replacement. 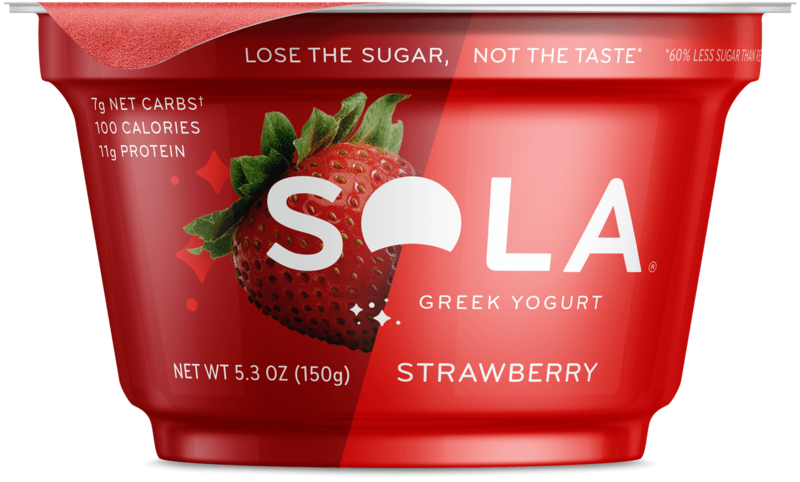 Sola is the easiest way to replace sugar. Taste the difference you can’t taste! ©Splenda is a registered trademark of Heartland Consumer Products. ©Stevia in the Raw is a trademark of the Cumberland Packaging Corporation. Most Americans consume an average of 22 teaspoons of sugar each day. That’s exceedingly high, considering the American Heart Association recommends limiting added sugars to no more than 100 calories per day (or about 6 teaspoons) for women and no more than 150 calories per day (or about 9 teaspoons) for men. The World Health Organization agrees, and encourages people to stay below 10% of total calories coming from added sugars and better to be under 5% in order to improve overall health. And this includes fruit juice! We know that an increase in consumption of sugar has been identified as an important contributor to obesity, heart disease, and diabetes worldwide. Sugar has also been implicated as a precipitating risk factor for dementia and Alzheimer’s disease. More recent data is also implicating excessive added sugar in the diet as a risk factor for cancer and worse outcomes for those with cancer. Our own animal research demonstrated that added sugar in the diet of mice prone to get breast cancer or have their disease spread led to faster onset of cancer and more metastatic disease. This was the case even when the quantities of sugar were below the average consumed in Western diets. 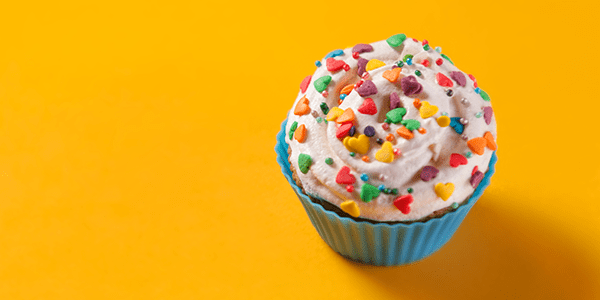 We found that sugar activated inflammatory processes, and inflammation plays a role in the development of cancer, heart disease, diabetes, and dementia and Alzheimer’s. We also know from extensive research that it is ideal to consume a diet that reduces large spikes in blood sugar (glucose levels). Evidence shows that refined carbohydrates and excessive carbohydrates in general, both abundant in the Western diet, lead to spikes in blood sugar. 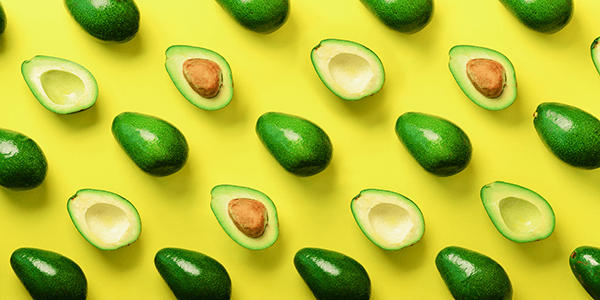 Repeated spikes in blood sugar activate inflammatory processes and multiple studies have linked a high glycemic load diet to increased risk of cancer and other diseases. So what does this mean for you? What type of sugar is okay and which type of sugar do we need to cut out? 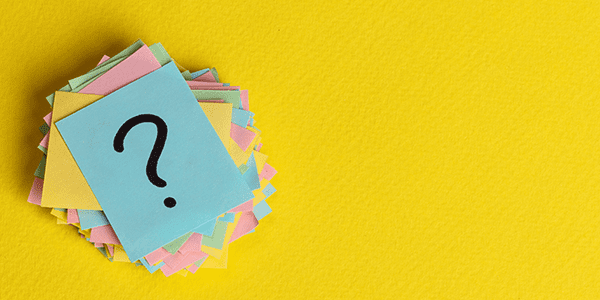 Ideally, you should limit added sugar intake in general (table sugar, high fructose corn syrup, sugary drinks – including fruit juice, and all other forms of refined sugars). 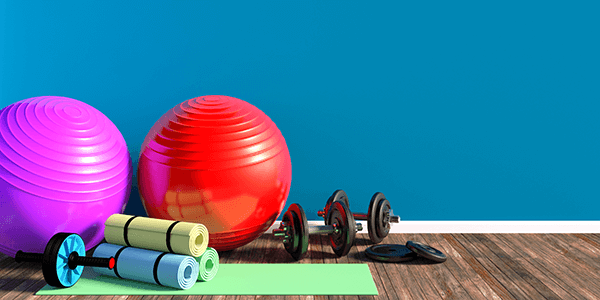 Also, try to eat a diet that decreases major swings in glucose levels. 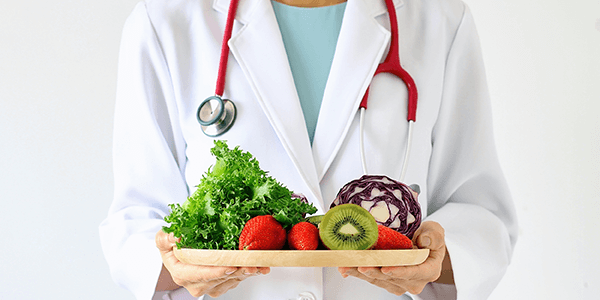 Mounting evidence shows that eating a primarily plant-based diet reduces cancer risk and is recommended for cancer survivors. By consuming more plants, specifically fresh, non-starchy green vegetables, less animal protein, less refined carbohydrates, and less added sugars, we can decrease our risk of cancer, heart disease, diabetes, and more. For more information on healthy diets for cancer prevention and control visit the American Institute for Cancer research. Boundless, by Ryan Turner, is a unique cookbook designed to help people eat gourmet, exquisite food that does not deplete our health. Plentiful provides recipes and cooking strategies that will have you convinced that you are not depriving yourself, as often happens on low-carb diets. That is because Ryan provides the education, knowledge, tools, and healthful substitutes to continue to lead a gourmet lifestyle. Plentiful will help you maintain a balanced glycemic load with no deprivation. Buon appetito. Note from Dr. Lorenzo Cohen, Ph.D.